Whether you’re lazing by the pool, strolling by the sea or off on a sailing or kayaking adventure, keeping your dog safe around water is a must. Even though many dogs enjoy the water and are excellent swimmers, they can still find themselves in trouble. Fatigue, strong currents and cold water can all affect your dog’s ability to stay afloat. Investing in a flotation device will give you peace of mind and protect your dog from getting into difficulties while in the water. Our top pick is the RUFFWEAR - K-9 Float Coat for Dogs but for more options read below. Do dogs need a life vest? It’s never a good idea to assume that your dog can swim. While many are perfectly happy in the water, others struggle to stay afloat. Some breeds of dogs are just not well-designed for water activities. Short legs, heavy heads, and dense bones all make swimming a struggle. Boxers, Pugs and Boston terriers, for example, are top heavy which makes keeping their head above water difficult. Meanwhile, Dachshunds and Bassett Hounds have such short legs that they must work exceptionally hard to stay afloat. And all brachycephalic breeds like Bulldogs and Pekingese find it challenging to keep their muzzles out of the water. Besides the breed limitations there are dogs just don’t like the water. It’s not uncommon for dogs to panic if they find themselves in a pool or open water, and that can lead to disaster. But even if your dog is a good swimmer, it’s worth investing in a life vest if you are spending any time in or around water. Not only do dogs tire much more quickly in water than they do on land, but they get chilled too. This is especially true of small dogs, puppies, and seniors that need extra care in water. A flotation device will keep your dog safe in the water as well as making it easier for you to see your dog if you’re in open water and they’ve gone overboard. 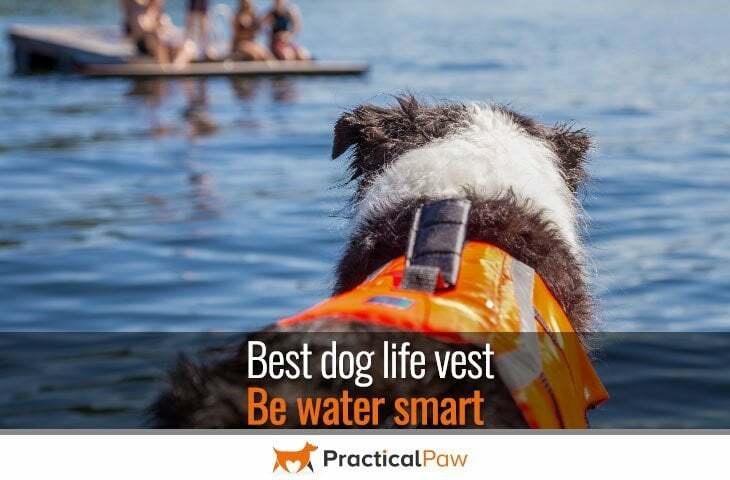 While a dog life vest dramatically reduces the dangers linked with swimming, they are no substitute for a watchful eye. Whether your dog swims in a pool, lake, stream or even open water they can quickly get into trouble. Strong currents, fatigue, underwater hazards, choking, panic, and low temperatures are all potential dangers. Never leave your dog unsupervised while they are in water even if they are wearing a life vest. Getting a vest that fits well is vital to keep your dog safe in the water. Manufacturers sizes vary. So while many brands offer small, medium and large sizes it’s important to measure your dog carefully based on the measuring instructions of the vest that you choose. Weight: Some manufacturers provide a recommended weight for their life vests. This ensures adequate buoyancy so is especially important to get right. A well-fitting life vest should be snug without being tight. You should be able to slip two fingers between your dog and the jacket. Your dog should still have a good range of motion once they are wearing a jacket. Look for any areas of chafing or discomfort. Also, check that the jacket looks balanced. Is it sitting too far forward or back? Does it ride up around the neck for example? Once you’re satisfied with the fit, you’re ready to take the vest for a test run. There is a wide range of choice when it comes to life jackets. 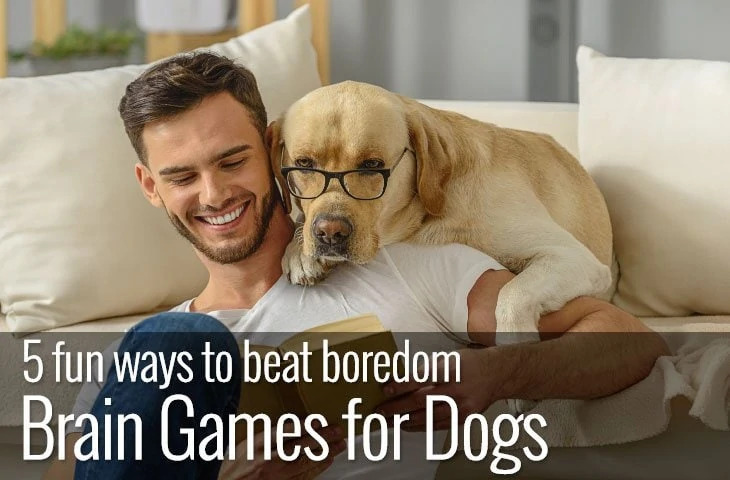 But there are few key features to look for when picking one for your dog. Fit – This is probably the most important consideration when picking a life vest. The fit should be snug but not tight. 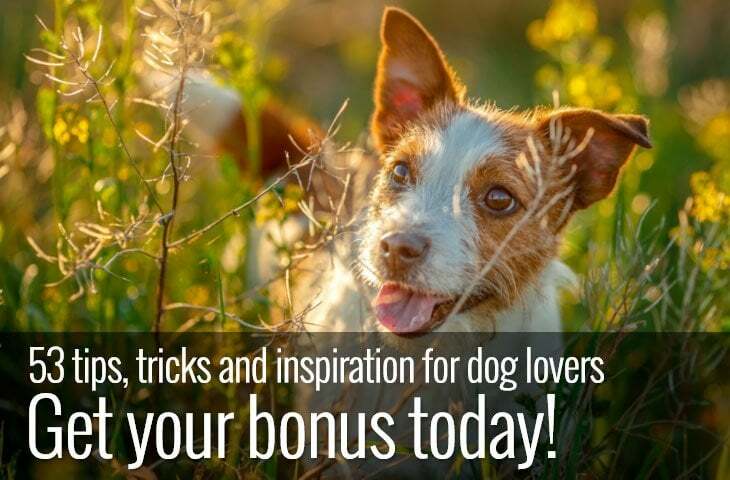 Your dog should still have a full range of motion without chafing. Visibility – While not quite as important if you’re sticking to a pool if you’re taking your dog out in open water, good visibility is a must. Look for bright colors and reflective strips as they can make the difference between rescue and disaster. Buoyancy – It may seem obvious, but buoyancy is critical. Vests vary in how much and where they place flotation materials. For instance, some may have additional flotation pads under the chin which is perfect for top-heavy dogs or under the belly which is excellent for long dogs like Dachshunds. Handles – Top handles provide an easy way to lift your dog out of the water. These should be durable and positioned so that as you lift, your dog’s head doesn’t drop down into the water. For bigger, or top-heavy dogs, double handles are ideal. Leash attachment ring — If it’s impossible to lift your dog out of the water for some reason, for example, your dog’s size or strong current, a leash attachment ring or loop can prove invaluable. 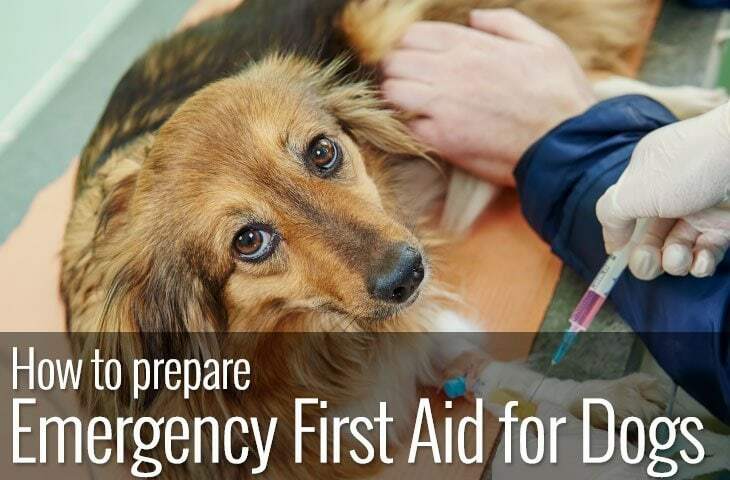 It enables you to keep your dog close until you can get help. If you find that your dog is between sizes, always opt for the larger size and adjust down. With five sizes and three color choices, including a novelty clown fish design, the Granby life vest by Outward Hound is a sound choice. The brightly colored ripstop material also has multiple reflective strips which makes it much easier to spot your dog in the water. Not only that but it has two grab handles on the top handily placed over the shoulders and belly which makes lifting your dog out of the water-a lot simpler. The vest has both belly and chest straps and a handy neck flotation pad that helps keep your dog’s head out of the water. What’s more, each size has a four-inch adjustment range which means the chances of getting a vest to fit your dog well is high. Available in five sizes and eight colors, there’s a lot of versatility in this life vest from Vivaglory. Made from durable ripstop fabric with additional material underneath to protect your dog’s belly. This vest also has extra padding for improved buoyancy. This lifesaver is easy to put on and take off your dog with quick release buckles. There’s a grab handle on top to help get your dog in and out of the water and a leash clip if you need more control of your dog while they are swimming. All the color options have reflective strips making it easier to spot your dog in low light. What’s more the jacket comes with a ninety-day guarantee and twenty-four/seven customer service. This heavy-duty polyester vest from EzyDog is durable, with extra wide neoprene belly straps and clips. The vest is designed to keep your dog in a natural swimming position. With six sizes and three bright colors, it offers a lot of versatility. Each of the colors comes with reflective strips and an integral grab handle so that you can help your dog in and out of the water. The zipped pocket is a nice touch although anything that you put in it has to be water-proof of course. The neck is well-padded and contoured for a comfortable fit, and it comes complete with a D ring for when you need to attach a leash. There are three sizing points; girth, length, and weight help get the perfect fit. The zipped pocket is a nice touch. Although it has limited use in water. THE RIGHT FIT: The Float Coat features a telescoping neck closure that adjusts and secures in place to accommodate a range of dog sizes. Adjust the side straps for the perfect fit. A HELPFUL HANDLE: The built-in handle is strong and optimally positioned for you to hold and help your eager explorer get out of the water. This Ruffwear float coat is durable and abrasion-resistant with water-compatible webbing ensuring that it stays put while your dog is swimming. One of the advantages of this vest over some others is that it has additional flotation material in the belly. This means that your dog can stay in a natural swimming position while being well-supported. Not only that, but the Float coat has a durable grab handle and sturdy, easy to clip buckles that tuck away to prevent them from getting caught accidentally. The design of the collar is smart. It’s telescopic and adjusts to fit your dog correctly it also neatly secures, so no straps are flapping around your dog’s face. It comes in six sizes and five color options all with reflective strips, so your dog remains visible even in poor light. There’s also an Ruffwear Beacon Light (not included) if you want extra low light visibility . This Surf N Turf life jacket from Kurgo has a trick up its sleeve. You can remove the flotation layer, and it doubles as a raincoat. This two-season coat, it’s perfect for both the spring and the summer as well as daily walks when it’s wet. The vest comes with two grab handles one standard one that runs along the top from head to tail and another that runs from side to side offering greater flexibility when lifting your dog from the water. It’s also made from tough rip-stop fabric and has two D-rings enabling secure leash connections. Available in five sizes and measured using three points of sizing – girth, neck and back to ensure the perfect fit it comes in bright red with reflective strips, so your dog is always visible. The belly straps offer good adjustability, and the neck has both a belt and Velcro for extra security. Kurgo is so confident in their product that they offer a lifetime warranty on their products if bought new from an authorized seller. As with most life vests, if you have a large dog, it can be very uncomfortable for your dog if you need to lift them out of the water as there is no padding under the belly. 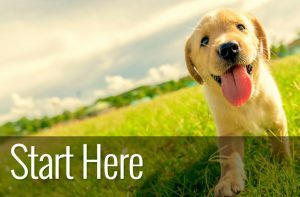 When it comes to the safety of your dog you need a reliable, well-made and durable product that won’t let you down. We love the RUFFWEAR - K-9 Float Coat for Dogs for those very reasons. The Float Coat is worth the investment if you and your dog spend any time in and around water. This vest is constructed to last and we particularly like the tuck-away straps as they minimize the chances of your dog getting caught on anything as they swim.